A breakthrough has been achieved in the historical documentation of the origins of '420' as a term for marijuana. Already established, 420 started in 1971 when a group of Marin County California high school friends, calling themselves the Waldos, would meet at 4:20pm to search for a crop of marijuana abandoned by a U.S. Coast Guard service member. The breakthrough; forty five years later after a difficult six-year search, the Coast Guardsman has been located. Now in his late 60's, his identity has been confirmed as Gary Philip Newman. New documentation has been obtained, including Official U.S. Coast Guard Military Records to back up the time and place, and he has been happily cooperative in filmed interviews. In 1971, Gary was unknowingly the catalyst for '420'-- a part of something that has endured for nearly half a century. The Waldos had never actually met Coast Guardsman Gary Newman back in the 1970s, but much has been revealed decades later in 2016. Gary’s young brother in laws, Bill and Patrick McNulty, together went to visit Gary regularly at the Coast Guard base at the Pt. Reyes Lighthouse. Gary was growing a small cannabis crop and at one point he became quite nervous ‘because his plants were located on Federal property’. Motivated by a fear of getting busted, he drew a map of the growing location and turned a free harvest over to the boys and whomever they trusted. Bill then shared the treasure map with the Waldos who all decided to meet at 4:20 to get high and search for the crop. And, eventually use the term as their secret code for cannabis before spreading worldwide. Further details of these events of 420 true history have been revealed. It has been learned that Gary originally planted the marijuana crop in the spring of 1971 while still living on base and tending the Pt. Reyes Lighthouse. He was in the Coast Guard for four years ‘Active’. He then continued in the Coast Guard Reserve while working on the Pt. Reyes Nunes ranch just a few miles from the base. It was while at the ranch in the fall of 71 that he met with the McNulty brothers and turned over the map of the free harvest. Also, verifications have been done. When Coast Guardsman Gary Newman was initially located in early 2016, a California State ID card was immediately qualified and photographed. His age of 68 is the proper match for Coast Guard Duty at that time. 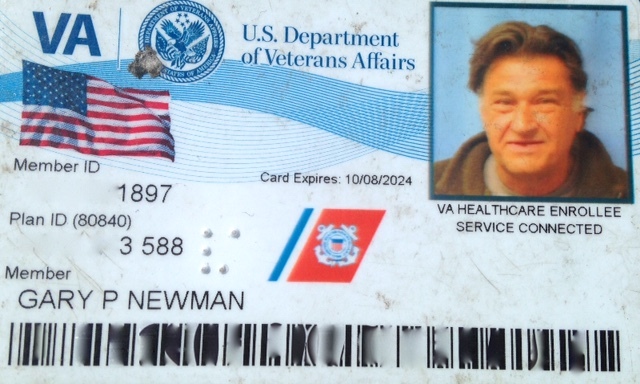 His U.S. Department of Veterans Affairs Card was also presented and photographed, on which appears official U.S. Coast Guard insignia. Gary was a lighthouse tender, and he had not been back to the lighthouse in many decades. In the first filmed interviews, he had detailed knowledge of the workings and history of the lighthouse and it’s mirrors that no ordinary civilian would know. This was later verified with National Park Service docents at the lighthouse. The old labor-intensive lighthouse was mothballed for automated equipment not too long after Gary left the service, so no other Coast Guardsman beyond the 70’s would have any true knowledge of the old lighthouse equipment. Multiple parties were called on to confirm identities and cross reference facts. 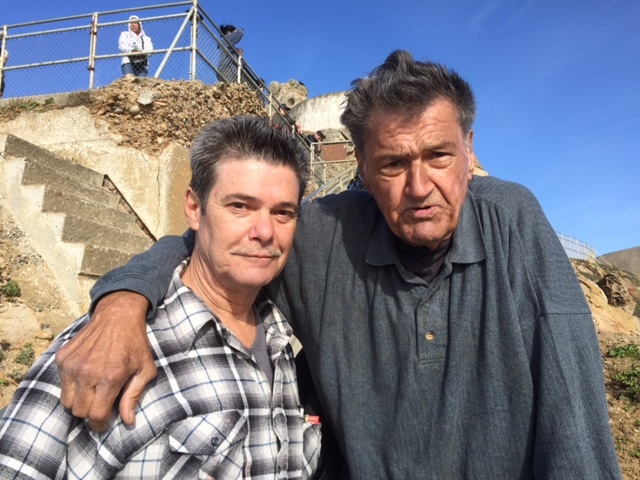 Gary’s (ex) brother in law Pat McNulty who was there when the treasure map was drawn was reunited with Gary (and filmed) to confirm identities and recreate the original map. Gary’s ex wife, Pat McNulty’s sister, who was married to him during his Coast Guard service term confirmed full name, age, pre-Coast Guard origins, etc. even before his State ID card was ever presented or photographed. Everything matched. In the process of trying to locate Gary Newman, another Coast Guardsman John Roemer of Nevada was stumbled upon, who was also a Pt. Reyes lighthouse tender in the early 70s. It was learned that there were only four people at the tiny lighthouse base– three lighthouse tenders and one commanding officer. It was determined that when Gary left active duty to go into the U.S.C.G Reserves, John relieved him. Their dates of exit and entry matched, and they worked under the same one-and-only tough Southern commanding officer, and with the same crew mates. John too had extensive knowledge of the lighthouse equipment that nobody beyond the 70’s would have, which was personally shared with the docents and Park rangers at a Pt. 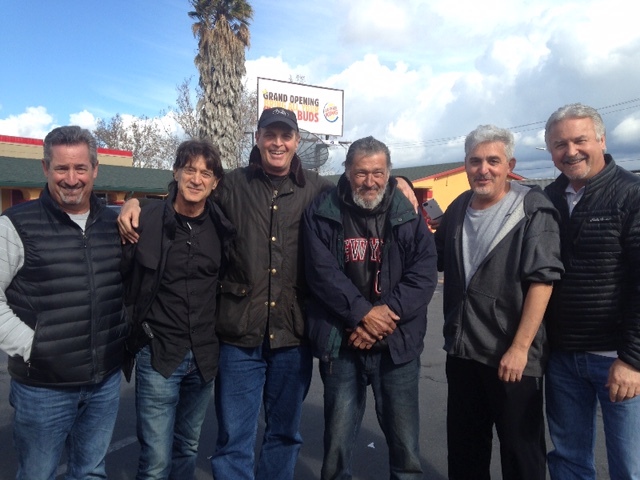 Reyes visit in February 2016 with the Waldos. Given that there were only four people tending the light house at any given time in the very early 70’s at Pt. Reyes California, it would be nearly impossible for anybody without a connected history to locate a U.S. Coast Guardsman doing that, and document it all (as the Waldos have done.) 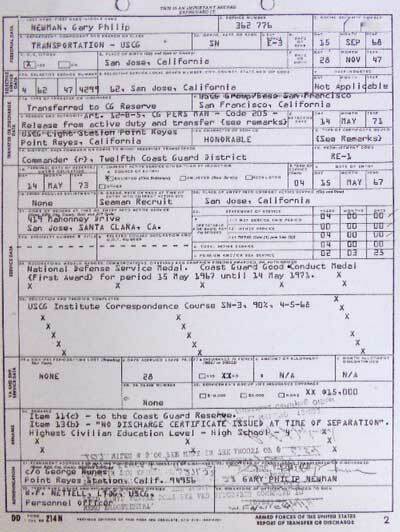 U.S. military records are very tightly controlled, including Coast Guard records. Military records centers will not tell any stranger/inquirer who was at that base, at that time, or who did any particular job there. The only way one can get an individual’s service records are to have their name, birthdate, social security number, place of birth, dates of military service entry and exit, and their authorized signature, or their next of kin’s authorization backed up with documentation of death. Now, over a hundred pages of embossed Official U.S. Coast Guard records serve as additional proof to back up the time, place, and parties involved in the Waldo’s events of 420 origin. (They are available to official press by arrangement.) This is on top of many other 70’s dated pieces of physical evidence proof already documented by press. Back in 1971, there was a wild search to locate a patch of marijuana grown by a U.S. Coast Guardsman. And now four decades later, full circle with a wild search to locate the Coast Guardsman himself; the numerous details of the arduous detective work over a six-year period to find Gary are posted here: Read Finding the Coastguardsman here. The Coast Guardsman trace and documentation is quite important to the Waldos. Even with the Waldo’s substantial amount of physical evidence proof of 420 origins, internet naysayers and bloggers have attempted to discredit the Coast Guardsman/treasure map part of the story. Serial pranksters and burnouts have tried to claim notoriety for themselves, without any evidence whatsoever to support their own theories, by saying that their alternate story is true only because the Waldos Coast Guardsman connection was fictional. With the finding of Gary Newman and the backup of official military records, added to all of the Waldo’s other evidence proof of 420 origin already in the vault, the Waldos have finally closed the door on the naysayers and phony claim jumpers.